Two days ago Kenneth presented an impressive flurry of scientific, peer-reviewed charts published over the past 15 months (46 alone in 2018). Much to the surprise of alarmist scientists, global warming is weak at best. 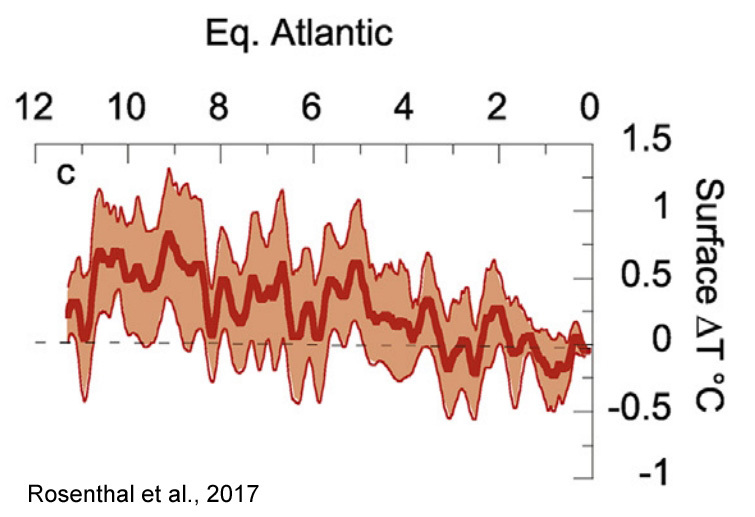 The surprising winter cooling has led scientists to dub the eastern US a “warming hole”, where scientists blame oceanic cycles for the unexpected cooling. 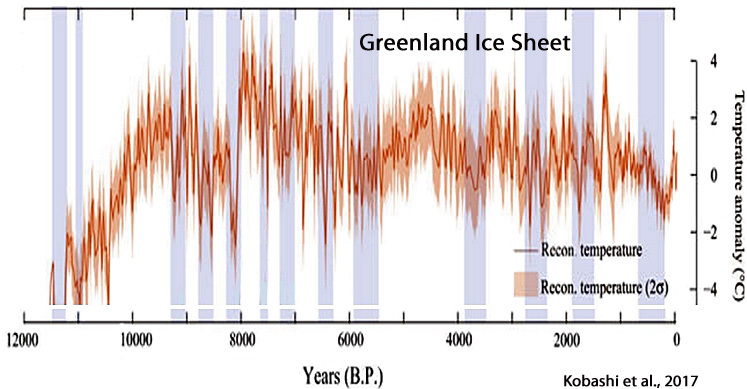 Greenland often gets cited by alarmists as a climate canary in a coal mine due to its massive ice sheets and their potential to cause dramatic sea level rise should they melt. 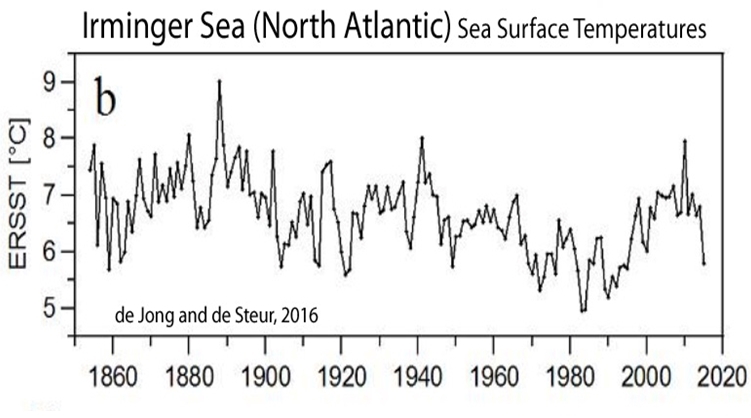 But a brand new study by Mikkelsen et al., 2018 shows that surface temperatures going back over 150 years are lower than they were in the 1930s! Source: Mikkelsen et al., 2018, Figure 2. 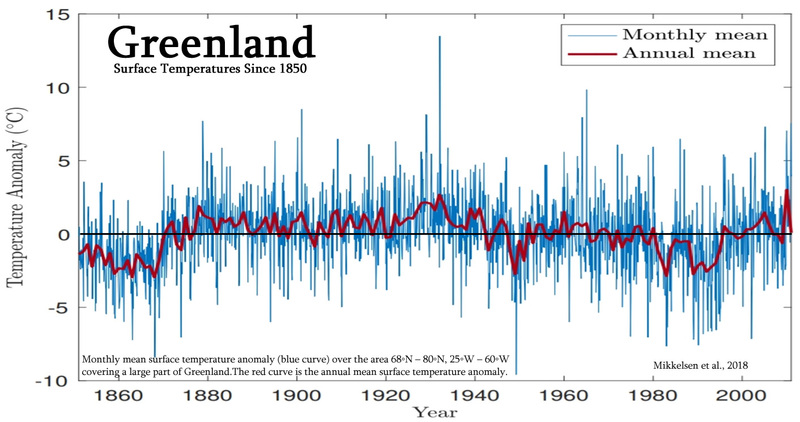 Surface temperature anomalies obtained from (KNMI), “Twentieth Century Reanalysis V2c” from the years 1851 to 2011 in a box spanning 68N to 80N and 25W to 60W. Looking at the above Greenland surface temperature chart, we see that the mercury plummeted some 5°C from 1930s to the 1980s before thankfully rebounding in the 1990s and 2000s. Here as well there exist no signs for warming alarm. Tales from the hockey schtick crypt. Half truths and distortions, much like Monkton’s assertions above. For example the poor r-squared (r2) statistic is frequently floated as evidence of something or other. Bishop Hill made much of it in his comedy essay on the topic. But r2 is an idiotic metric to apply to this type of exercise, low r2 values are associated with year to year variability which is not really what is being looked for, rather you want a statistic that works at capturing the general level. The RE score does that and demonstrates that there is skill. The NAS panel were very clear about this, and still it gets raised as some kind of ‘gotcha’, and Mann accused of hiding the number, when he probably never even calculated it. That’s probably an overestimate, but I’ve never claimed the planet has never been this warm for all time. 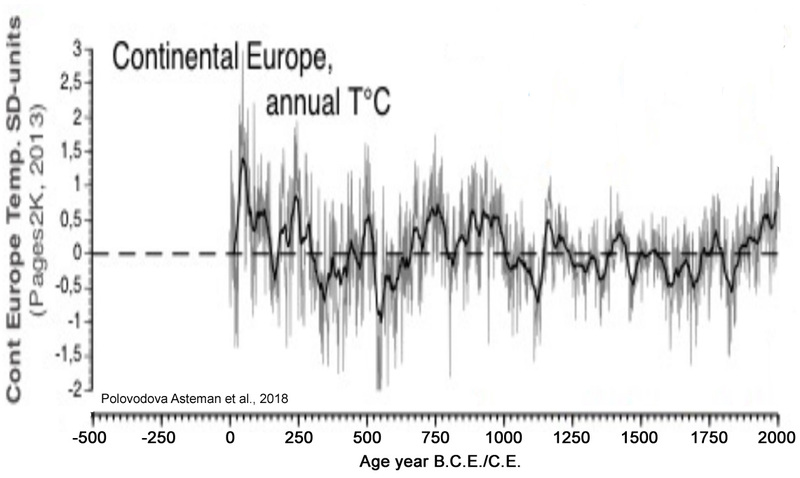 The Hockey Stick (MBH99), however, only went back to AD1000. We see that it was only colder than now for some 500 or so years. The LIA really was an ANOMALOUSLY COLD period.. why to AGW sicko-phants think it should be “the norm”???? 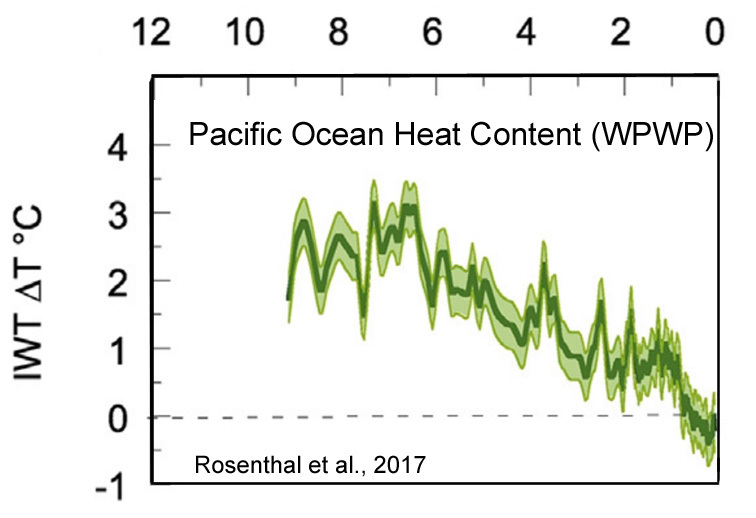 We are still only just a tiny bump above that COLDEST of periods, and NOWHERE NEAR the Holocene average. Unfortunately, it looks like the RECOVERY from that bleakest of periods has probably come to an end. Let’s all hope like crazy for WARMING rather than COOLING ! 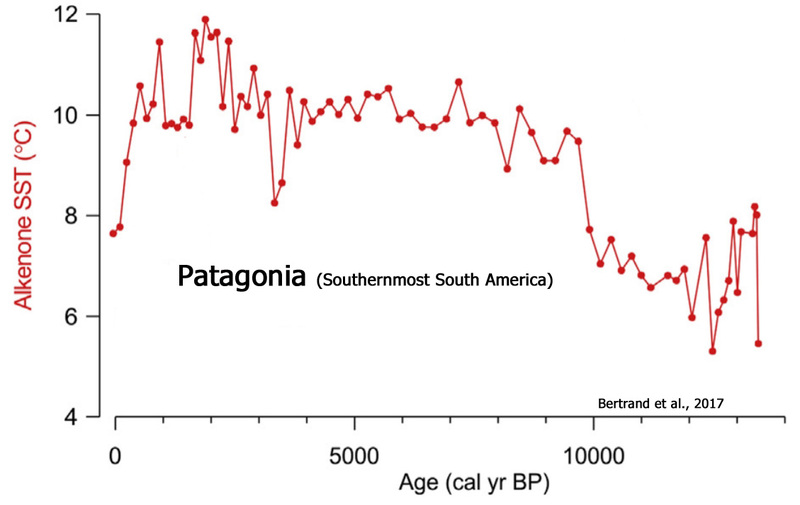 Here are just 7 graphs of Holocene temperature out of the hundreds available. None of them show anything unusual as far as a recent uptick. Your Marcott Dream is supportable only with fakery. We need look no further than Al Gore’s An Inconvenient Truth to know belief in human-caused, dangerous warming is based on lies. The film’s “strongest proof” that CO2 drives temperatures was a graph of the last 650,000 years of CO2 levels and temperatures. Of course the graph they used demonstrated that every time CO2 increased, temperatures increased (and when CO2 dropped temperatures dropped). 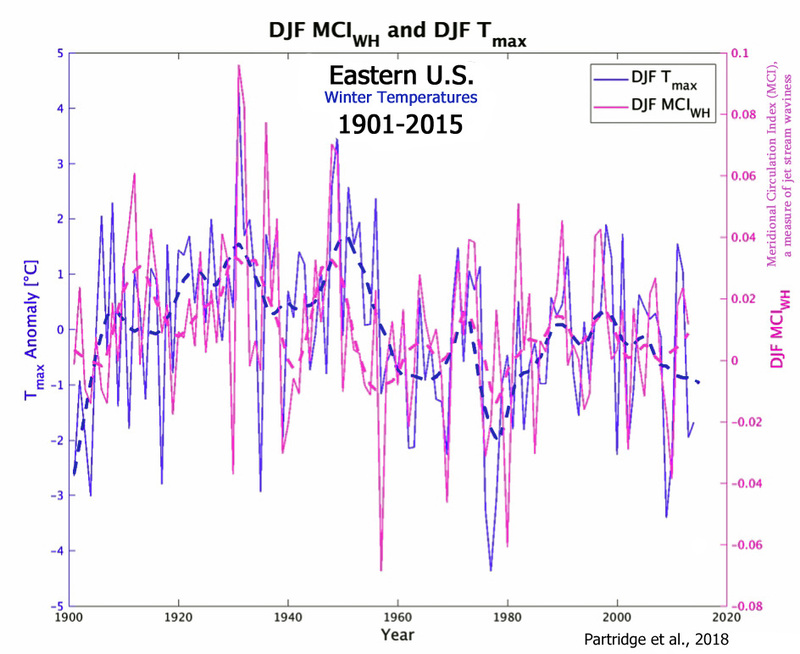 The problem they didn’t discuss is that the data behind those graphs proves that temperatures always changed first. 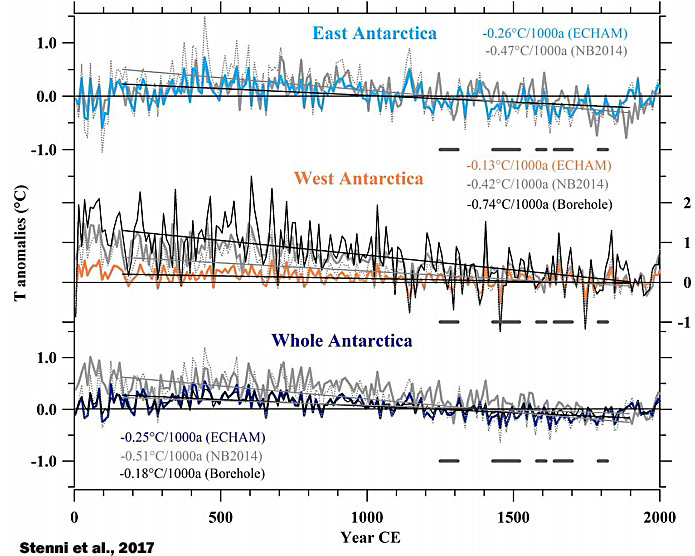 Unbiased science demonstrates the temperature drives CO2! Many physical laws of nature tell us this is what we should expect.